Youth Club of Bangladesh organised “National Youth Leadership Summit” at Institution of Diploma Engineers in Kakrail of the city on Friday. Around 250 youths from Dhaka, Chattogram and Cumilla attended the daylong programme to raise awareness among youth and to create leadership on solving social problems among youths. British Deputy High Commissioner to Bangladesh Kanbar Hossein Bor attended the national summit as the chief guest while Executive Director of Manusher Jonno Foundation Shaheen Anam and DIG of Anti-Terrorism Unit Director Khandaker Lutful Kabir attended as the special guests. 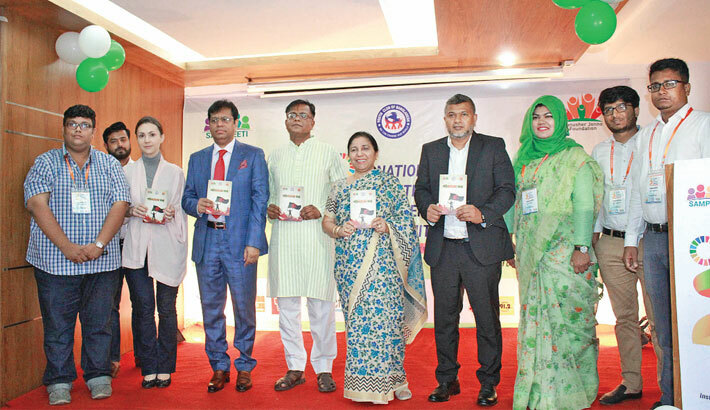 Chairman of Daffodil International University Md Sabur Khan, director of Hunger project Nasima Akter Joly, news editor of Bangladesh Today Saiful Islam, CEO of Nagorik TV Abdun Noor Tushar and others also attended the programme. General secretary Sanzida zaman conducted the sessions of the summit with president of YCB Arefin Rahman Himel in the char.